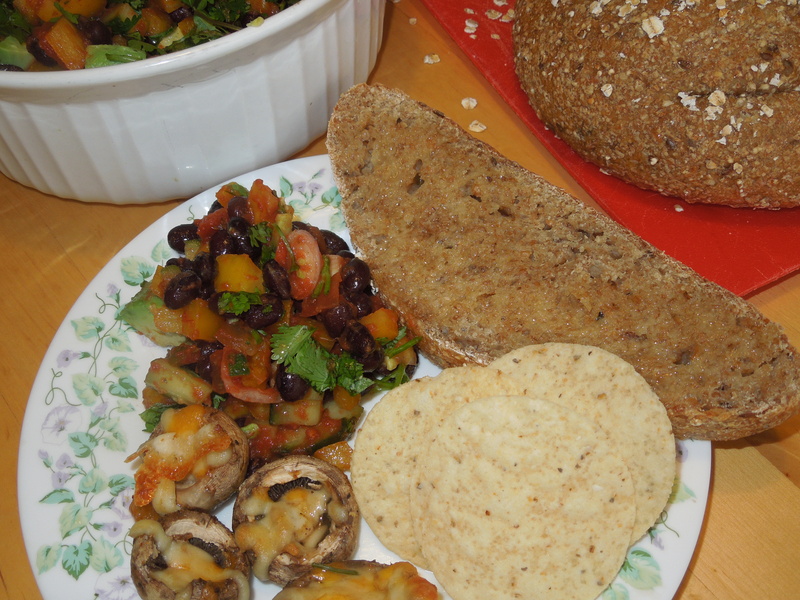 In keeping with trying to be vegetarian twice a week, we had a very fun meal of Salsa with avocado and black beans, baked mushrooms and homemade bread. We also had some nachos with our meal. 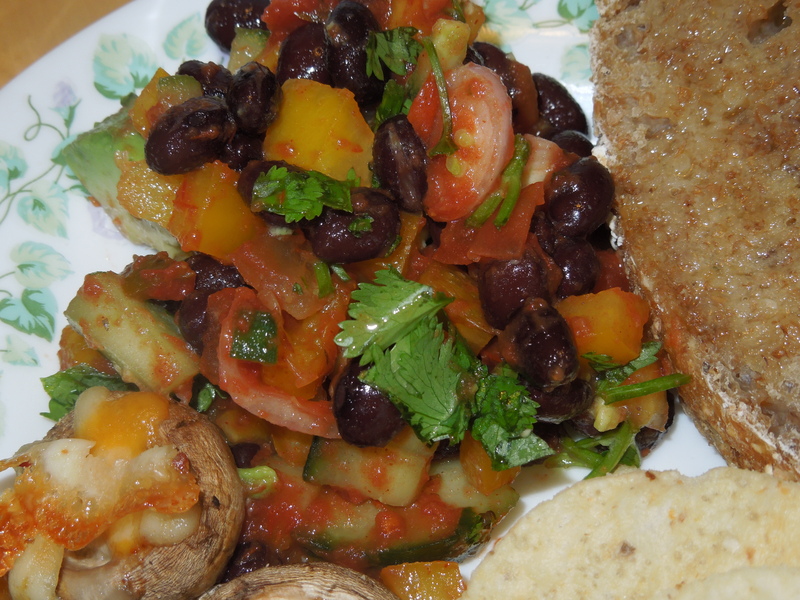 The salsa was quick to make, because I used a store bought jarred salsa as the base of this dish. You can add in any vegetables that you like to the salsa. The kids enjoyed this meal and did not complain about eating black beans. Mix all the ingredients together. Squeeze the lemon juice and toss this salsa salad.